Late last month we published a post to announce the Western Heritage Museum Project. A rich interactive story told in a user directed multi-media experience visitors will want to visit again and again. The museum experience will provide a unique understanding of the region from the time of the Spaniards and missionaries to the modern day. The Western Heritage Museum will be a place to inspire guests to visit places and experience the many activities that our diverse and exciting area has to offer. We also refer to this project as The Western Heritage Cultural Center. Yes, you heard correctly the first of what we hope will be many fund raising events to create the Western Heritage Museum is a GOLF TOURNAMENT. We know you are thinking, "Another golf tournament! George I just don't know. Why should I take the time to go?" Enhance businesses and employment in our county. By attending the tournament, you will get an advance look at the plans to date and have the opportunity to stay connected with our project as it matures and comes to life. We started with the idea of telling the story of dynamite tied to the old Apache Powder Company and pretty soon we found ourselves engaged with stories surrounding dynamite having to do with mining, the military, ranching and agriculture, the movie and entertainment business and of course the railroads. To get this effort moving forward we need your help to get the project really started. So far the project has been done on a volunteer basis, but to make it a reality we are going to have to begin raising some funds to move the project ahead. We need You to support the Western Heritage Cultural Center by signing up to be part of the Western Heritage Museum Project Golf Tournament as a player, sponsor or a volunteer. 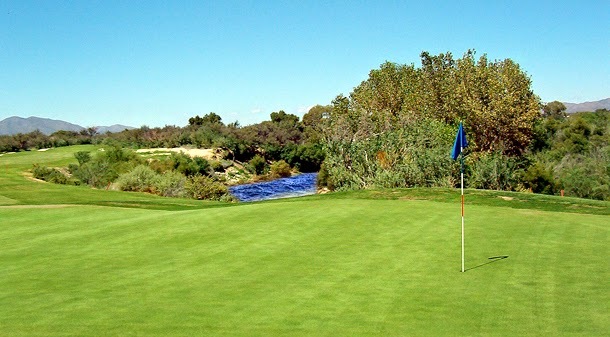 You will get a great lunch at the City Grille, at the San Pedro Golf Course, along with your cart and green fees. It's a great deal at $45 per player. You'll help us start raising some seed funding and have a great outing at the same time. So, get your foursome together! We are looking for 36 foursomes (144 golfers) for a Shotgun Start at 8:00AM on Saturday, June 7, 2014. The fee is $45 per person and includes: green fee, cart, lunch and driving range balls. There will be raffle prizes and great prizes for "Closest to The Pin," "Longest Drive" and a unique prize for our "Hole in One" contest, too. We are also looking for SPONSORS - a great way to tell the community that you support the Western Heritage Museum Project. If you have questions, please call 520-686-2099. All completed PLAYER sign-up and/or SPONSOR packets should accompany your check made payable to SAEDG and mailed to 168 E. 4th Street, Benson, AZ 85602. Join in the fun and tell your friends!